When I was at the gym this morning, naturally I was thinking about pancakes. 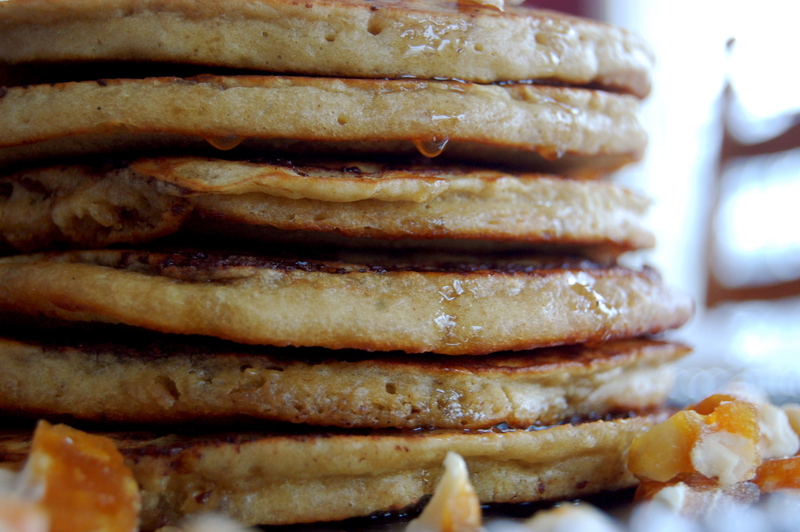 A big, fluffy, sweet pile of pancakes. It’s one of my favorite foods for obvious reasons; it’s socially acceptable cake for breakfast, duh. 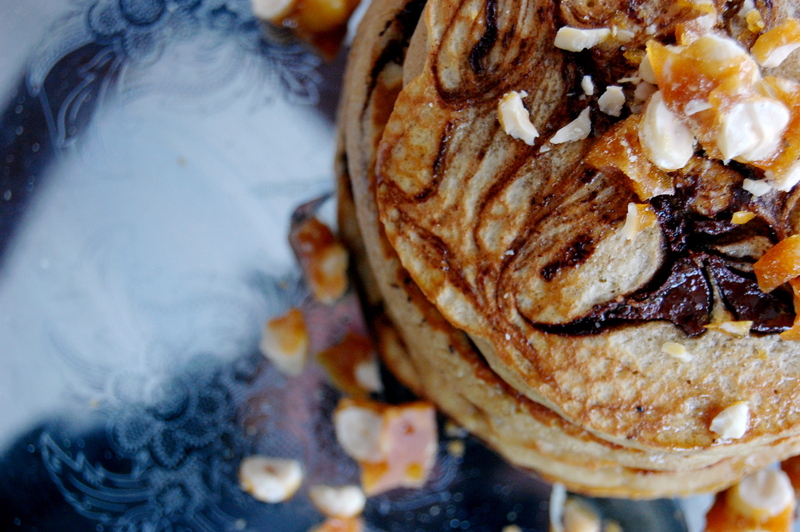 So after mile one on the treadmill, I decided that I wanted to make hazelnut pancakes this morning. And in order to do that, I needed to run at least another four more miles. 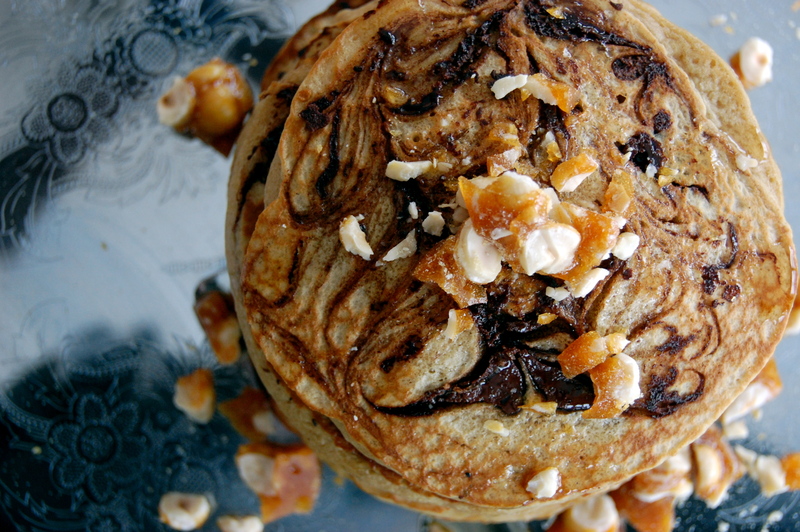 The entire time I ran, I just imagined these chocolate swirled, hazelnutty, fluffy breakfast pillows topped with sweet little hazelnut crunchies. In my mind, exercising neutralizes all the sugar I pump into my body daily. Whatever motivates me… am I right?? ** Tip: Make sure your eggs, butter, and milk, and room temperature. Doing this helps the pancakes come out fluffy. 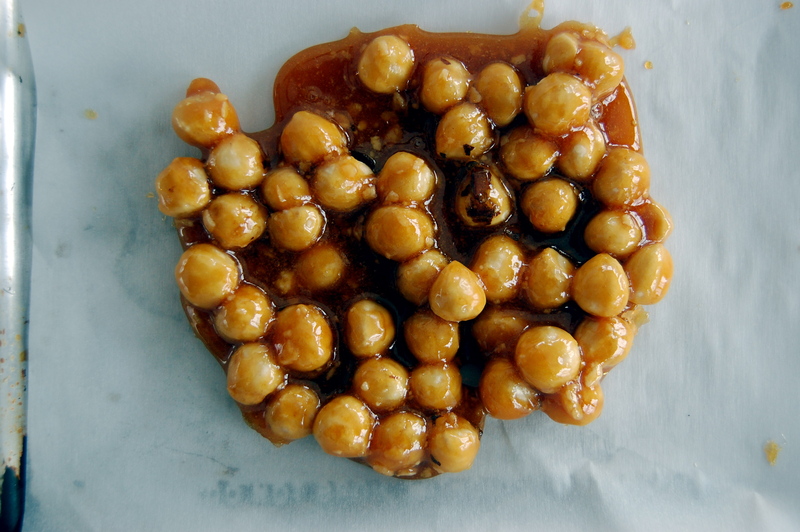 For the Hazelnut Brittle, start by lining a plate with parchment paper. Heat the sugar in a saucepan on medium low. While the sugar is melting, do not touch it! It will smoke a little bit, but let it do its thing. If you play with it, it will get clumpy. If you feel the need to mix things around, just kind of shimmy the pan around. Once melted, it will turn a dark caramel color. 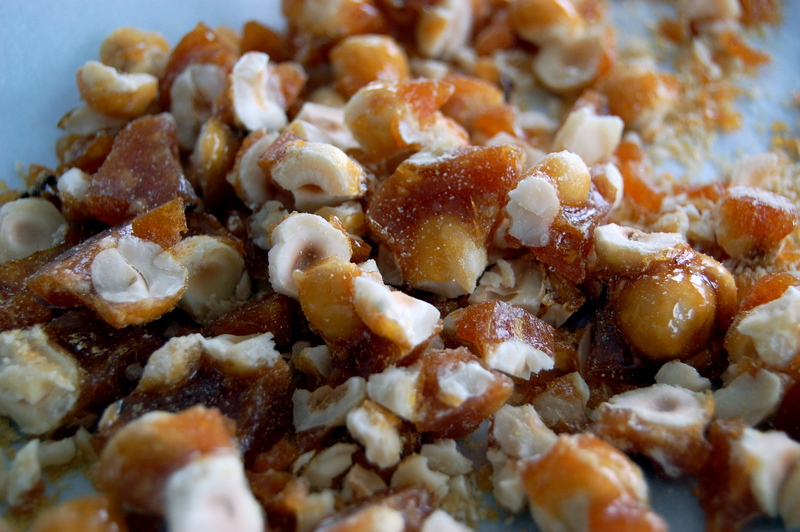 At this point, add in the Hazelnuts and coat with the melted sugar. Then, pour the mixture onto the parchment paper and allow to cool in the fridge until it is completely hardened, about 15 minutes. Then, cover the brittle with a paper towel and smash with a meat tenderizer, rolling pin, or whatever you got that is hard, until it forms small pieces. Let cook on the first side for 3 minutes, until it starts to rise and get bubbly. Then, flip over and allow to cook for another minute. The chocolate will burn easily so keep an eye on the pancakes. 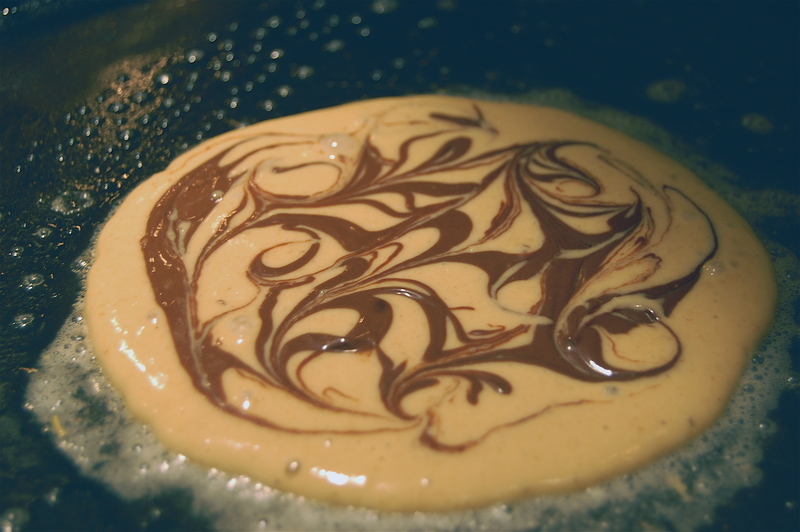 To avoid burning the chocolate, wipe the griddle clean and apply fresh butter after every pancake. 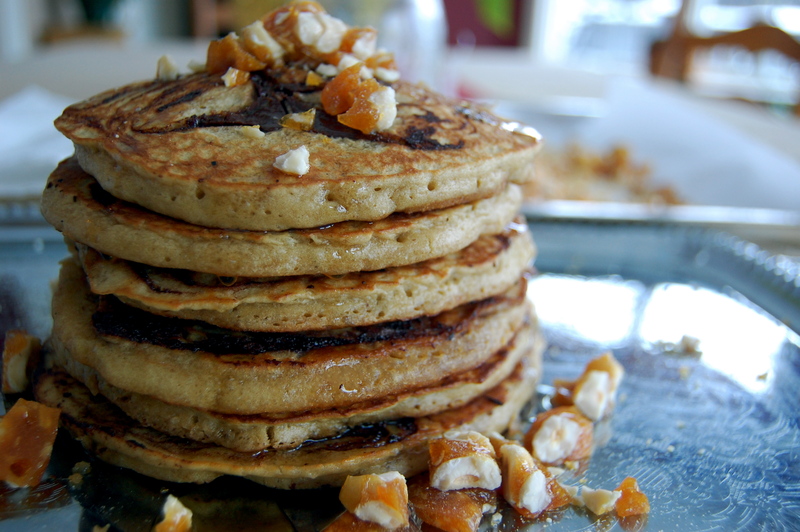 Top with syrup and some brittle, eat ’em up, and head on over to the gym to work it all off! I’ll just end it there before things get even more pathetic. Recipe for a Halloween layered cake made it to HuffPost Taste! 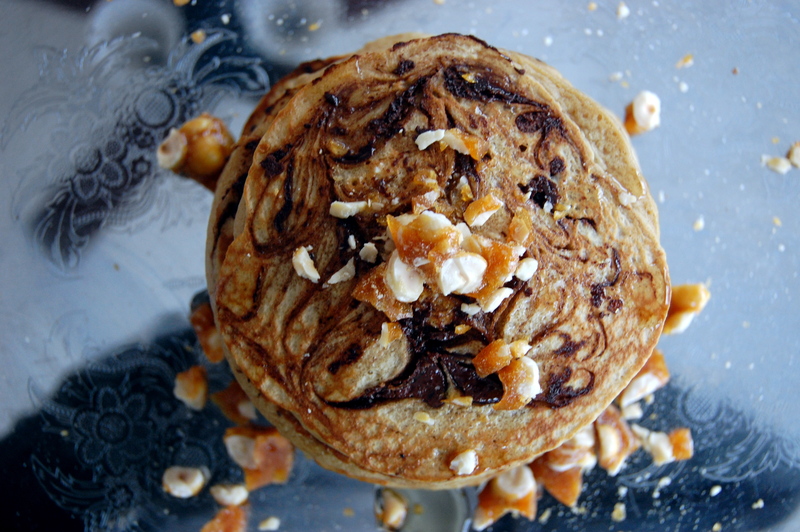 #huffingtonpost #huffposttaste #thebakerintherye #soawesome! Pie for Pi Day… Duh!